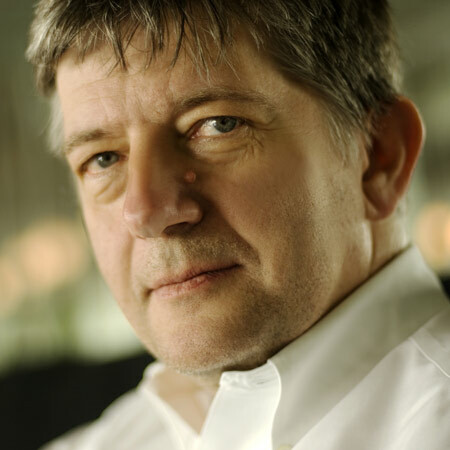 Dezeen podcasts: continuing our series of podcasts for the Design Museum, museum director Deyan Sudjic talks to Dezeen editor-in-chief Marcus Fairs about Design Cities, an exhibition he has curated and which has just opened at the museum. Organised in association with Istanbul Modern and shown there until last month, the exhibition presents objects created at specific moments in the history of design, in 7 different cities: London in 1851, Vienna in 1908, Dessau in 1928, Paris in 1936, Los Angeles in 1949, Milan in 1957, Tokyo 1987 and London 2008. The exhibition runs until 4 January 2009. Top: Tea and Coffee Towers by David Chipperfield (London), © Alessi. Above: Transat Chair by Eileen Gray (Paris), © V&A. In this podcast Sudjic talks about why he chose each of the cities and moments for inclusion in the exhibition, what makes a great design city and where he thinks the next great design moments will take place. Above: Great Exhibition Fan (London), © V&A. Below: Christopher Dresser teapot 1879 (London), © V&A. Above: Electronic printing calculator by Mario Bellini (Milan), © Vitra Design Museum. Design Cities tells the story of contemporary design through seven key cities at their creative height: London (1851), Vienna (1908), Dessau (1928), Paris (1936), Los Angeles (1949), Milan (1957), Tokyo (1987) and London (2008). The exhibition will feature a full range of objects from textiles and fashion to industrial pieces, furniture and prints. It will include design classics such as chairs by Charles and Ray Eames, as well as work by a spectrum of designers that together will evoke an impacting impression of their era. Key exhibits will include work by William Morris, Christopher Dresser, Adolf Loos, Marcel Breuer, Le Corbusier, Eileen Gray, Achille Castiglioni, Issey Miyake, Zaha Hadid and Ron Arad. Late night openings Friday 19 September, Friday 31 October and Friday 5 December until 10pm. The Design Museum has partnered with Flickr and Don’t Panic to invite you share your photography on the theme of Design Cities. Your work could be featured in an exhibition at the Design Museum in January 2009 and one entry will be made into 80,000 specially-commissioned Don’t Panic Posters.To submit your photograph, add it to the Design Cities group on Flickr before 1st December 2008. Find out more here. Design Cities has been organised by the Design Museum, London in association with Istanbul Modern and is curated by Design Museum Director Deyan Sudjic.